Update: Thanks to all of our guest experts and other participants for joining the chat today! There was some great discussion and even some debate. Please scroll down to find a quick summary of our discussion. What technology has the potential to connect everyone in the world in a new and important way that could redefine currency, democracy, and the way we do business? If you said blockchain, then you’ve been reading up on this cryptographic algorithm that defined Bitcoin but has the potential to be so much more. Blockchain is a technology that can facilitate trusted peer-to-peer transactions without the need for a third-party authority. It’s a means to store and transfer value in a way that’s secure and maintains privacy. It’s totally distributed and decentralized, relying on the network of its users to power it. Satoshi Nakamoto may have invented the first iteration, but others have taken note, including many here in Canada. 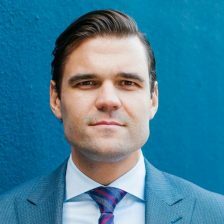 Father and son team Don and Alex Tapscott have released The Blockchain Revolution after participating in a $4 million program at the Rotman School of Management at the University of Toronto. 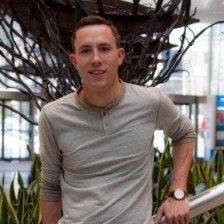 Matt Spoke is founding Nuco, a new blockchain startup and a spinoff from Deloitte’s blockchain team based in Toronto. Christie Christelis is an Ontario-based mobile payments analyst that has followed the rise of virtual currencies in Canada. And we have them all slated to take part in a Twitter chat on blockchain! Join us July 7 at 2 PM ET at the hashtag #ITWCchats on your favourite Twitter client and take part in the conversation. 1. What is blockchain technology and how is connected to, but separate from bitcoin? 2. Blockchain has been described as “the Internet of value.” Why? 3. How is blockchain related to maintaining personal privacy in the digital age? 4. Why could blockchain decentralize power and have an equalizing influence on society? 5. What are some of the challenges to building blockchain-based systems? 6. How can organizations prepare for a blockchain-driven world? 7. Ethereum is a blockchain platform offering up tools to developers. What role does it have to play in progressing this technology? 8. What does the hack and theft of $500 million from blockchain VC fund The DAO mean for the technology? 9. What are some of the exciting Canadian projects based around blockchain? 10. What are the potential dangers of blockchain tech being used for evil? Alex is the founder of this consultancy focused on early-stage high growth companies involved with blockchain technologies. With his father Don Tapscott, he’s the co-author of the new book The Blockchain Revolution, which describes how Blockchain is a revolutionary protocol that could record everything of value to humankind. Previously, Alex was a senior executive at Canaccord Genuity, Canada’s largest independent investment bank, where he became the firm’s youngest-ever vice-president at age 25. Formerly a member of Deloitte’s Rubix blockchain team, Spoke and two of his colleagues departed the consultancy to form Nuco so they could raise capital faster. He’s worked in the blockchain space for the past two years and says he’s committed his professional career to seeing the technology succeed within enterprise markets. 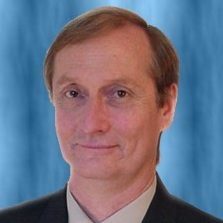 He’s written articles about why blockchain is the future of accounting because of its potential to change the auditing process. He believes blockchains are the future of enterprise infrastructure. Previously, Matt was the president of CASCO, a student-run organization that raises money for Children’s Hospital of Eastern Ontario. Christie is also the president of InPayCo, a conference that brings together major providers, users, and developers in the mobile payment tech space. He’s tracked developments in the Canadian Payments Industry for the past 18 years and has been an advisor to payment companies in 20 countries. He authors the annual Canadian Payments Forecast Report.